Brilliantly fast G1 King’s Stand winner and the best sprinting son of Invincible Spirit. Rated 125 by Timeform, he is ranked higher than his sire and his best stallion son I Am Invincible. Big first book of 185 mares. By INVINCIBLE SPIRIT (1997) Sprint Cup (G1), Duke of York S (G3), MacDonagh Boland S (G3), etc. 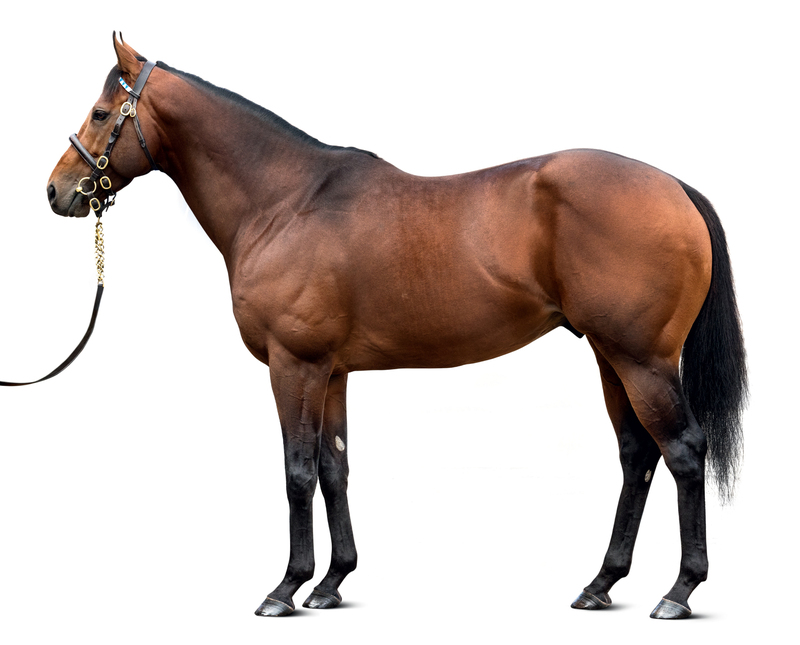 Sire of 1,662 foals aged three and up, including PROFITABLE, TERRITORIES, CHARM SPIRIT, EQTIDAAR, FLEETING SPIRIT, HOORAY, KINGMAN, LAWMAN, MAGNA GRECIA, MAYSON, MOONLIGHT CLOUD, NATIONAL DEFENSE, ROSDHU QUEEN, ROYAL MEETING, SHALAA, SIGNS OF BLESSING, VALE OF YORK, YOSEI, etc. PROFITABLE (c Invincible Spirit) G1 winner, see left. RIDGE RANGER (f Bushranger) 6 wins (5f-6f), 3 to 5, Summer S (G3), Kilvington S, 2nd World Trophy (G3), Flying Fillies’ S, Cecil Frail S, 3rd World Trophy (G3), Bullet Sprint S.
GAMGOOM (g Exceed And Excel) Premio Cancelli, 2nd Cleves S.
Impulsion (f Footstepsinthesand) 3rd Empress S.
Nabhan (g Youmzain) 3rd Junioren Preis. DAN TROOP (g Lawman) 4 wins at 3, 2017. RIDGE WOOD DANI (g Invincible Spirit) 9 wins (5f-6f), 2 to 6. INVINCIBLE RIDGE (g Invincible Spirit) 7 wins (5f-6f), 2 to 9, 2017. BADR AL BADOOR (f Acclamation) 4 wins (6f-6½f), 2 to 4. ACCLAIM THE NATION (g Acclamation) 2 wins (5f) at 3 and 4, 2017. CRAFTY MADAM (f Mastercraftsman) 2 wins (6f-7f) at 3, 2017. BLOMBERG (c Indian Ridge) 3 wins at 3 and 4, Diomed S (G3), 2nd Easter S.
BARELLA (g Barathea) Winner at 5. DANI RIDGE (f Indian Ridge) Winner, see above. APACHE TRAIL (c Indian Ridge) Winner at 6. DANIELLA DRIVE (f Shelter Half), Winner, see above. I WISH IRISH (c Irish Stronghold) 5 wins, 3 to 6. RUGGED (f Northern Wolf) 5 wins at 3 and 4. OPPORTUNITY FOUND (f Lost Opportunity) 2 wins at 3 and 4. Deemed Dividend (g Tentam) 3rd Manitoba Derby. Weaver (g Basket Weave) 3rd Northwest Stallion S (c&g). BOLD CONNECTION (g Dawn of Creation) Rio Grande Kindergarten Futurity, 3rd Rio Grande Futurity. MARKET DAY (f Kennedy Road) Winner at 3. Third dam of: Chargin Bye (f Tavasco) 3rd ATBA Spring Sales S.
Profitable’s first crop are foals of 2019. Maiden race, 5f, Sandown Park, by 2¾l. 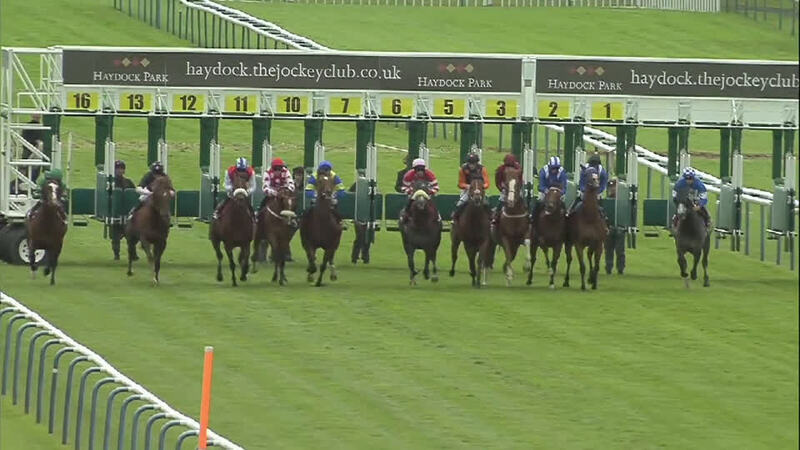 Westow S, 5f, York, beating Tendu, Strath Burn, Zuhoor Baynoona, Fast Act, Lightscameraction. 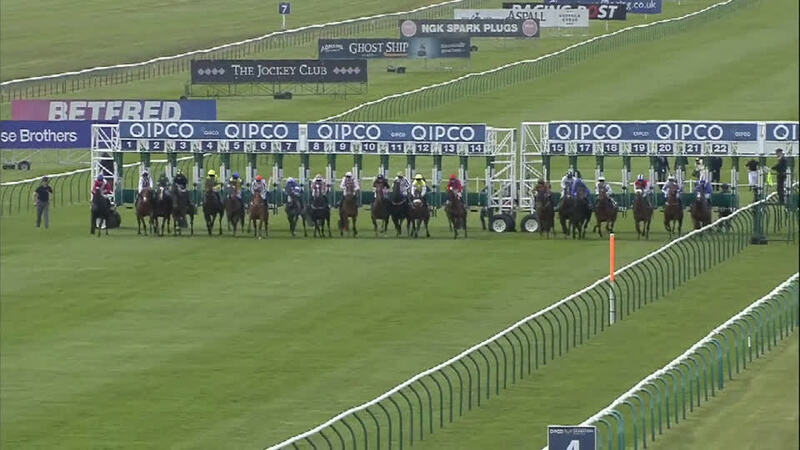 Scurry S, 5f, Sandown Park, to Waady, beating Elysian Flyer, Zuhoor Baynoona, Union Rose, Rosie’s Premiere. 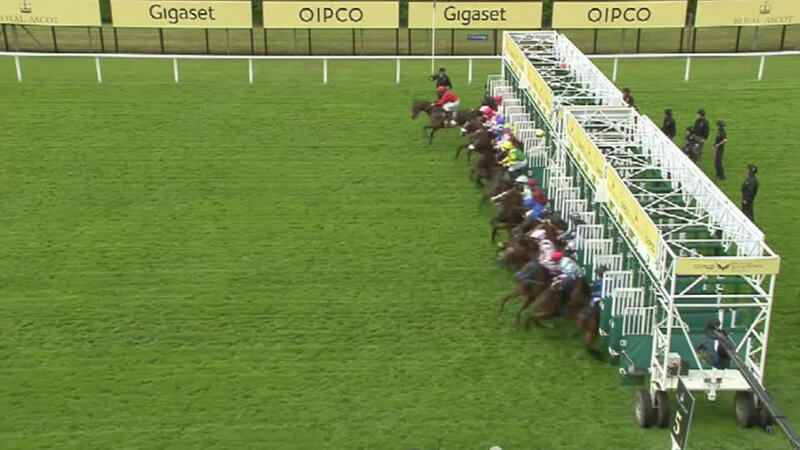 King’s Stand S (G1), 5f, Royal Ascot, beating Cotai Glory, Goken, Jungle Cat, Waady, Medicean Man, Out Do, Move In Time, Mongolian Saturday, Aeolus, Take Cover, Double Up, Sir Maximillian, Pearl Secret, Lancelot du Lac, Mecca’s Angel, Hay Chewed. Temple S (G2), 5f, Haydock Park, beating Mecca’s Angel, Waady, Pearl Secret, Aeolus, Kachy, Move In Time, Muthmir, Sir Maximillian, Justineo, Steps. Palace House S (G3), 5f, Newmarket, beating Jungle Cat, Waady, Spirit Quartz, Take Cover, Aeolus, Kingsgate Native, Hay Chewed, Justineo, Move In Time, Sole Power, Cotai Glory, Line Of Reason, Goken, Dutch Masterpiece, Humidor, Steps, Mirza, Iffranesia, Lancelot du Lac. July Cup (G1), 6f, Newmarket, to Limato, Suedois, Quiet Reflection, beating Washington DC, Eastern Impact, Magical Memory, Sole Power, Danzeno, Goken, Mongolian Saturday, Air Force Blue, Cotai Glory, Twilight Son, Jungle Cat, Don’t Touch, Waady, Arod. King’s Stand S (G1), 5f, Royal Ascot, to Lady Aurelia, beating Marsha, Muthmir, Take Cover, Alpha Delphini, Cotai Glory, Signs Of Blessing, Final Venture, Goldream, Ardhoomey, Priceless, Gracious John, Washington DC, Medicean Man, Just Glamorous. King George S (G2), 5f, Goodwood, to Battaash, beating Marsha, Take Cover, Washington DC, Final Venture, Glass Office, Priceless, Kachy, Ardad. Prix de Saint-Georges (G3), 5f, Deauville, to Signs Of Blessing, beating Finsbury Square, Son Cesio, Rangali, Love Spirit, Eskimo Point, City Money. Prix de l’Abbaye de Longchamp (G1), 5f, Longchamp, to Battaash, Marsha, beating Queen Kindly, Rimini, Finsbury Square, Fashion Queen, Alphabet, Son Cesio, Signs Of Blessing.